Shoulder disorders and injuries are challenging disabling conditions. 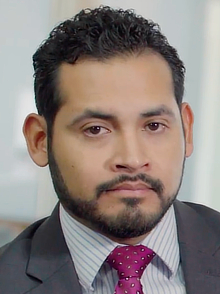 How Can Disability Insurance Attorneys Dell & Schaefer Assist You? 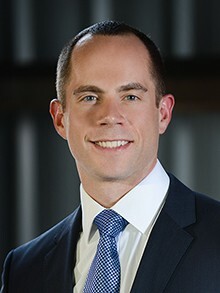 As disability attorneys, Dell & Schaefer have represented numerous physicians and dentists that have been unable to work as a result of a shoulder disorder or injury. Most clients that we have represented with shoulder disorders became disabled as a result of either an acute shoulder injury or a chronic shoulder degenerative condition. We often see that disability claimants attempt to continue working with a shoulder injury, but due to continuous pain with activity, they are forced to stop working. Furthermore we often find that claimants with shoulder injuries contemplate surgery but are often advised that that there is not a high likelihood of successful recovery with surgery. A disability claimant is not required to undergo shoulder surgery if it has been recommended. Disability Attorneys Dell & Schaefer have an expansive understanding of the significant restrictions and limitations that a person suffering with a shoulder disorder must live with on a daily basis. We have worked closely with top physicians in order to sufficiently satisfy a disability carrier’s threshold of evidence necessary to prove that a client is disabled by a shoulder disorder. Not everyone suffering with a shoulder injury qualifies for long-term disability benefits, therefore the medical records of each client must be reviewed to determine the level of restrictions. We welcome the opportunity to discuss your long-term disability claim. You can contact us for a free initial consultation. What is a shoulder disorder? Shoulder pain is an extremely common complaint, and there are many common causes of this problem. 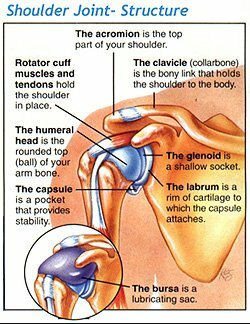 The shoulder is the most movable joint in the body. However, it can be an unstable joint because of the range of motion allowed. It is easily subject to injury because the ball of the upper arm is larger than the shoulder socket that holds it. To remain stable, the shoulder must be anchored by its muscles, tendons, and ligaments. Some shoulder problems arise from the disruption of these soft tissues as a result of injury or from overuse or underuse of the shoulder. Other problems arise from a degenerative process in which tissues break down and no longer function well. Bursitis – occurs when there is inflammation of the fluid-filled sac called the bursa that lies between a tendon and skin, or between a tendon and bone. Calcific tendonitis is a condition of calcium deposits within a tendon, most commonly within the rotator cuff tendons. Treatment of calcific tendonitis depends on the extent of symptoms. Frozen shoulder, also called ‘adhesive capsuliitis’ this is a common condition that leads to stiffness of the joint. Labral tear. The labrum is cuff of cartilage that forms a cup and circles the shoulder socket. There are several patterns of a torn labrum and the type of treatment depends on the specific injury. The SLAP lesion is also a type of labral tear. The most common cause is a fall onto an outstretched hand. A Bankart lesion is a labral tear that occurs when a shoulder dislocates. Posterior labral tears are less common, but sometimes seen in athletes in a condition called internal impingement. In this syndrome, the rotator cuff and labrum are pinched together in the back of the shoulder. Rotator cuff tears occur when the tendons of the rotator cuff separate from the bone. Shoulder arthritis is less common than knee and hip arthritis, but in severe cases it may require a joint replacement surgery. Shoulder dislocation is an injury that occurs when the top of the arm bone becomes disconnected from the scapula. Shoulder instability is a problem that causes a loose joint. Instability can be caused by a traumatic injury (dislocation), or may be a developed condition. Shoulder separation, also called an “AC separation”, it is the result of a disruption of the acromioclavicular joint. This is a separate injury from a dislocation. 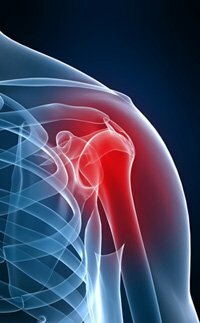 Tendinitis – The tendons of the rotator cuff or the tendons of the biceps become inflamed and irritated. This is often a result of being pinched by surrounding structures. A proximal biceps tendon rupture occurs when the tendon of the biceps muscle ruptures near the joint. Shoulder pain may be localized or may be referred to areas around the shoulder or down the arm. Disease within the body such as the gallbladder disease, liver conditions, heart disease and disease of the cervical spine and neck also may generate pain that travels along nerves to the shoulder. In addition to the pain associated with a shoulder disorder a person may also suffer swelling and numbness of the shoulder. Limitations of range of motion and loss of strength are commonly seen with disabling shoulder conditions. The first step in treating these conditions is to reduce pain and inflammation with rest, ice, and anti-inflammatory medicines such as aspirin, naproxen, ibuprofen and COX-2 inhibitors. In some cases the doctor or therapist will use ultrasound therapy (gentle sound-wave vibrations) to warm deep tissues and improve blood flow. Gentle stretching and strengthening exercises are added gradually. These may be preceded or followed by use of an ice pack. If there is no improvement, the doctor may inject acorticosteroid medicine. While steroid injections are a common treatment, they must be used with caution because they may lead to tendon rupture. If there is still no improvement after a period of time, the doctor may perform either arthroscopic or open surgery to repair damage to the shoulder. There are 6 opinions so far. Add your comment below. Philip, unfortunately, we do not handle SSDI claims – only claims for benefits under private disability policies. If you have coverage under an employer provided disability policy please feel free to contact our office to discuss your options. PLEASE HELP. My left shoulder has been dislocated more than several times, it dislocateds while I’m sleeping sometimes that’s how bad it is but my right shoulder has been dislocated as well with my clavicle still to this day pertrudes from my shoulder. On top of that when I was 15 my neck was dislocated. I am now almost 50, I need help, I haven’t got a job anymore or insurance and the E.R is the only Dr I’ve got and they have told me that I need surgery but it probably won’t help much. Is there anything that y’all can do that could help me please and thank you. Timothy, unfortunately, we only handle claims for short and long term disability under private insurance policies. If you have sufficient work credits you could attempt to file a claim for disability with the Social Security Administration. If you need assistance in finding a SSDI attorney please feel free to contact our office and we can try to get you in touch with one. I am considering shoulder surgery. I have long term disability through my work. I am a server at a restaurant and obviously not be able to preform the normal job functions. my shoulder has came out 4 times in a week this month. I work for olive garden, darden owns olive garden as well as 7 other restaurants. Thank you for your help. Heather, if you have benefits through your employer then you may be covered under a short-term and long-term disability policy. You may be eligible to file a claim for your disabling condition and I encourage you to speak with an attorney before doing so. We have published 14 articles about Shoulder Disordersdisability cases. Here are the most recent ones.